Taking your first class at The Hot Yoga Spot may seem a little intimidating, especially if you don't know what to expect. 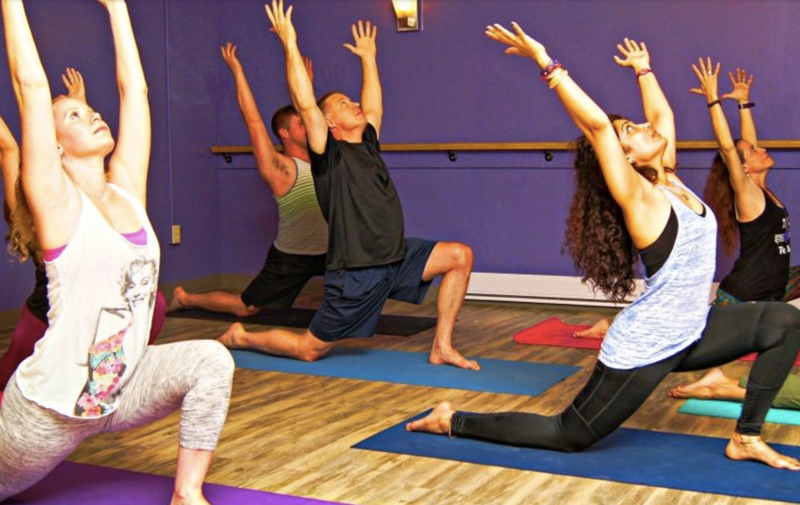 While our yoga instructors are trained to help beginners through their first yoga class, preparing for your class ahead of time can help you make the most out of the experience. Read on to see how to get ready for your first class at The Hot Yoga Spot, and sign up for our new client special today! It's no surprise that during a hot yoga class, the temperatures will soar. Wearing too much clothing, even if the pieces are loose, can make you feel heavy and uncomfortable. A tank top or sports bra with a pair of shorts or light-weight capris is a good choice for women, while men should wear moisture-wicking shorts and tanks. A headband to wick away sweat from your face is a good choice as well. Pick out your clothes before your class so that you won't have to rush through your closet at the last moment. You also don't need any special socks or shoes for a yoga class because all of the sessions at The Hot Yoga Spot are done barefoot and using a yoga mat. Hydrating your body before your hot yoga class will help you avoid feeling lightheaded during the workout. However, it's not smart to just chug a gallon of water minutes before your class. Keep drinking throughout the hours before your class starts, and try to avoid drinks that can dehydrate your body, including coffee and soda. Finally, pack a couple of water bottles to drink from during the class. Smelling overly fragrant lotions and perfumes during your class can make your nose feel uncomfortable and break your concentration. Take a quick shower before you head to class to remove these products from your skin, or skip them altogether on the day of your class. Your fellow hot yoga class members will thank you for it! Eating too much before your class can leave you feeling sluggish, crampy, and uncoordinated. Try to avoid eating any food two or three hours before your class starts. If you do feel hungry, opt for light snacks, such as a handful of nuts or a piece of fruit. Arriving early for your yoga class is always a good idea, but it’s especially important when it's your first class. When you're not rushing, you'll have time to talk to the teacher, ask any questions you may have, and fill out any required paperwork. You'll also have more time to put aside your worries so that you can focus on the class. Arriving early also allows you to pick out a good spot in the studio where you'll feel the most comfortable. Lastly, arriving early guarantees you the opportunity to get into the hot studio for a few minutes before class starts. Being in the heat prior to the session beginning is a great way to get comfortable with the temperature and ready to move. Hot yoga isn't easy, especially for beginners. Although your body will eventually adjust to the hot temperature in the studio, you may feel overwhelmed at first. Reading more about hot yoga, including stories, experiences from trusted others, and online articles, can help you mentally prepare for the class. It's also important to realize that you may need to take a few breaks during your first class. Don't push your body too hard! At The Hot Yoga Spot, our yoga studios in New York offer a variety of classes for beginners and advanced students alike. Learn more about our different class types, and schedule your first class today!